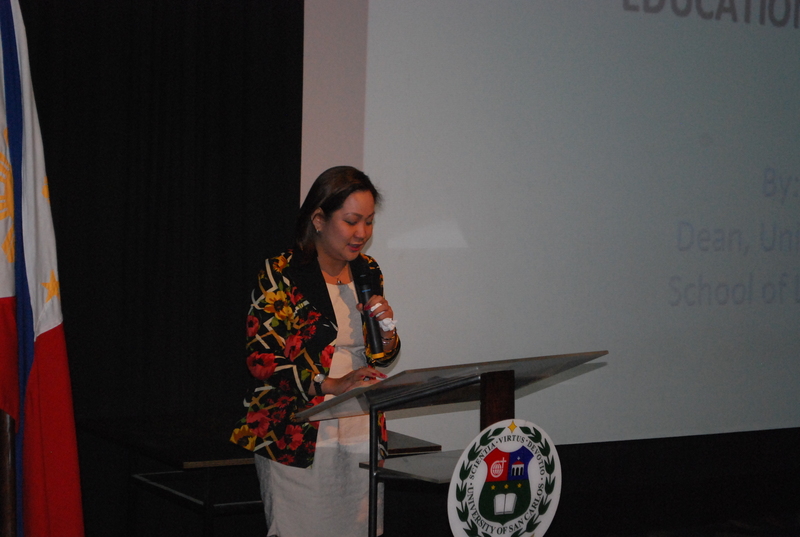 Professor Elizabeth Aguiling-Pangalangan, Holder of the Chief Justice Panganiban Professorial Chair on Liberty and Prosperity delivered her paper – Parents and Children: When Law and Technology Unbundle Traditional Identities – on March 28, 2019 at the 1st Floor Lecture Room, Bocobo Hall, UP Law Center, University of the Philippines – Diliman, Quezon City. Professor Pangalangan’s paper explores how civil, political, economic, social, and cultural rights impact on women and children in two particular legal situations: adoption and surrogacy. The paper discusses domestic and international laws on adoption and problems that still persist surrounding the adequacy of legal safeguards for the rights of the birth mother, the adopting parents and the child, especially in the context of intercountry adoption. In the subject of surrogacy, there is no Philippine law and international convention regulating it, but neither is there any explicit prohibition against it. The paper argues that domestic laws did not contemplate the advent of technology that will make assisted reproductive technology possible nor the ease by which people can travel that makes cross border adoption and surrogacy accessible. It seeks to answer the following questions, among others: (1) do Philippine laws defining who are the mother and father of a child applicable in cases of adoption and surrogacy; (2) will a law that allows commercial surrogacy or encourage intercountry adoption not violate the political right to physical integrity of the birth or surrogate mother resulting in the commodification of her womb and her baby, or infringe on the right of every child to a name and nationality; (3) will a law that throws a blanket prohibition on intercountry adoption and international surrogacy agreements not disturb economic and social rights, such as the right to family life of the intending parents, the right to an adequate standard of living and the right to work of the surrogate, and freedom from discrimination of all parties especially the adopted child or the child born of a surrogate; and (4) what changes in the Philippine legal order are necessary to implement the best interest of the child standard, which has animated both legislation and jurisprudence? The public lecture is the 19th of a series of lectures and debates under the Chief Justice Panganiban Professorial Chairs on Liberty and Prosperity Program. FLP is undertaking this program in partnership with the Metrobank Foundation, Inc. and in cooperation with the Philippine Association of Law Schools. The program aims to encourage educational institutions and law schools to research and propagate at the academe the philosophy of safeguarding the liberty and nurturing the prosperity of our people under the rule of law. Distinguished guests include retired Chief Justice Artemio V. Panganiban, Court of Appeals Justice Louis P. Acosta, Sandiganbayan Justice Efren N. De La Cruz, Metrobank Corporate Secretary Antonio V. Viray, Dean Fides C. Cordero-Tan of the UP College of Law, Dean Anna D. Abad of Adamson University, Metrobank Foundation Executive Director Nicanor Torres, and Atty. Jannica Robles-Santos of the Office of the Presiding Justice of the Court of Tax Appeals. Apart from the faculty, students from the UP College of Law and other colleges of UP Diliman, Far Eastern University Institute of Law, Ateneo Law School, Pamantasan ng Lungsod ng Maynila, and Manila Tytana Colleges (former Manila Doctors College) attended the lecture. Professor Pangalangan’s full lecture is still being transcribed and will be posted at www.libpros.com, the official website of the FLP soon. Metrobank Foundation conferred on the Foundation for Liberty and Prosperity the Partner in Empowerment, Advocacy, and Commitment to Excellence (PEACE) Award during its 40th Anniversary Celebration on February 21, 2019. The PEACE Award is a recognition given to a select group of institutions that mirrors the Metrobank Foundation’s commitment to uplifting the lives of the least in society and recognizing the best in society. The Foundation for Liberty and Prosperity (FLP) and Tan Yan Kee Foundation (TYKF) are pleased to announce the 20 legal scholarship awardees for the School Year 2018-2019. Each scholar will receive P200,000 divided into P100,000 for tuition, P20,000 for books, and P80,000 for monthly stipends. Of the 20, 10 are for 3rd year and the other 10 are for 4th year law students as follows: (for third year) Banoar R. Abratique (University of the Cordilleras), Pamela Camille A. Barredo (Far Eastern University-Makati), Angelette C. Bulacan (FEU-Makati), Stephanie Mae B. Domingo (University of the Cordilleras), Maria Carissa C. Guinto (San Beda University-Manila), Patrick Angelo M. Gutierrez (FEU-Makati), Mayumi G. Matsumura (Ateneo de Manila), Juralyn Lilian A. Obra (University of the Cordilleras), Carmella Gaye D. Perez (University of San Carlos), and Edrea Jean V. Ramirez (University of Santo Tomas). For fourth year: Leo Francis F. Abot (Ateneo de Manila), John Anthony F. Almerino (University of San Carlos), Micah Celine S. Carpio (De La Salle University), Arvin Paolo D. Cortez (Ateneo de Manila), Mikael Gabrielle E. Ilao (University of the Cordilleras), Alimar Mohammad Malabad (San Beda University-Manila), Kenneth Glenn L. Manuel (UST), King Anthony Y. Perez (University of Cebu), Jun Dexter H. Rojas (PUP), and Ma. Vida Malaya M. Villarico (PUP). The FLP scholars were selected based on their academic merit and their ability to uphold and espouse the FLP’s philosophy of liberty and prosperity under the rule of law. Extra cash prizes are given those who graduate with Latin honors. Fifteen FLP scholars took the last bar examinations: Karina Mae Badua (UST), Sean James Borja (Ateneo de Manila), Erwin Frederick Dy (UP), Rexlyn Anne Evora (PUP), Kevin Ken Ganchero (FEU), Katrina Monica Gaw (Ateneo de Manila), Jose Noel Hilario (UST), Summerson Macasarte (St. Thomas More), Violeta Najarro (San Beda-Alabang), Ma. Janine Pedernal (UST), Nigel Carmelo Reago (De La Salle U), Tess Marie Tan (U of San Carlos), Jose Angelo Tiglao (De La Salle U), Althea Vergara (U of San Carlos) and Vanessa Gloria Vergara (Ateneo de Manila). The bar topnotchers among them will get P200,000 for the first place and P100,000 each for the second to the tenth placers. With a financial grant from the TYKF, the FLP sponsors the program with the assistance of the Philippine Association of Law Schools (PALS). Supreme Court Senior Justice Antonio T. Carpio headed the Board of Judges which selected the scholars, with the following members: former Education Secretary Edilberto C. de Jesus, TYKF Executive Elizabeth Alba, PALS President and University of San Carlos Law Dean Joan Sarausos-Largo, and Ateneo Law Professor Tanya Karina A. Lat. The FLP Legal Scholarship Program is open to all third and fourth year students of law schools that obtained a percentage of passing above the overall average percentage of passing in bar exams based on the statistical data from the Office of the Bar Confidant of the Supreme Court. To qualify, the grantees must (1) be incumbent 3rd or 4th year students in one of the eligible law schools, (2) be among the top 20 of the batch in their respective schools, (3) have a cumulative average not lower than 85% or 2.25 for the immediately preceding school year, (4) have no dropped subject and no grade lower than 75% or 3.0, and (5) have enrolled and completed the full load for each school year; and submit an essay on the philosophy of liberty and prosperity under the rule of law and how he/she will apply the philosophy in his/her legal career. 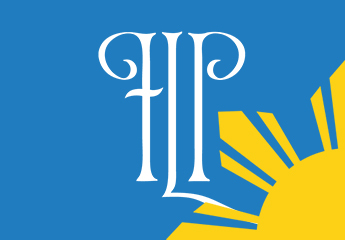 The FLP was founded in 2011 to perpetuate the core judicial philosophy of retired Chief Justice Artemio V. Panganiban — that jurists and lawyers should safeguard liberty and nurture prosperity under the rule of law. For more information, please visit www.libpros.com. Its Board of Trustees is composed of retired CJ Panganiban (chairman), Sec. de Jesus, retired Supreme Court Justice Angelina Sandoval-Gutierrez, Ms. Evelyn T. Dumdum, Asian Development Bank Consultant Joel Emerson J. Gregorio, Prof. Elenita C. Panganiban, Atty. Tanya Karina A. Lat, Rebecca G. Felix, and Ms. Maria Elena P.S. Yaptangco (members). The Tan Yan Kee Foundation is the corporate social responsibility arm of the Lucio Tan Group of Companies. It approaches corporate social responsibility from a holistic commitment framework targeting education; culture and sports; health and social welfare including environmental concerns; research; and manpower development. Its Board of Trustees is composed of Dr. Lucio C. Tan (chairman), Harry C. Tan (vice chairman), Joaquin Bernas, Frank Chan, Shirley Chua, Lawrence Chew, Emil Q. Javier, Artemio V. Panganiban, Marixi R. Prieto, Carmen Tan, Tan Eng Chan, Tan Hui Bin, Mariano Tanenglian, Amando M. Tetangco Jr. and Cesar E. A. Virata (members). For details, please visit www.tanyankee.org. Supreme Court Acting Chief Justice Antonio T. Carpio graced the Foundation for Liberty and Prosperity Awards Ceremony on March 23, 2018 at the Ateneo Professional Schools Auditorium in Rockwell Center, Makati City. As guest of honor, he awarded the 21 law scholars of the Foundation for Liberty and Prosperity (FLP) in partnership with the Tan Yan Kee Foundation (TYKF) for the FLP Legal Scholarship Program (School Year 2017-2018). As invited speaker, he delivered his message titled “A Culture of Respect for, and Understanding of, International Law“ (download a PDF copy of his full speech here). Of the 21 scholarships, ten (10) were awarded to 3rd year law students as follows: Leo Francis Abot (Ateneo de Manila), John Anthony Almerino (University of San Carlos), Arvin Paolo Cortez (Ateneo de Manila), Mikael Gabrielle Ilao (University of the Cordilleras), Kenneth Glenn Manuel (UST), King Anthony Perez (University of Cebu), Josiah David Quising (FEU), Jun Dexter Rojas (PUP), Julienne Therese Salvacion (San Beda – Manila) and Ma. Vida Malaya Villarico (PUP). Eleven (11) were awarded to 4th year law students, namely: Karina Mae Badua (UST), Sean James Borja (Ateneo de Manila), Kaycelle Ann Castillo (FEU), Ervin Fredrick Dy (UP), Rexlyn Anne Evora (PUP), Katrina Monica Gaw (Ateneo de Manila), Nigel Carmelo Reago (De La Salle University), Jose Angelo Tiglao (De La Salle University), Summerson Macasarte (St. Thomas More), Althea Vergara (University of San Carlos), and Vanessa Gloria Vergara (Ateneo de Manila). Jose Angelo Tiglao delivered his acceptance speech on behalf of his fellow FLP scholars (download a PDF copy of his full speech here). Each of the scholars received P200,000, divided into P100,000 maximum for tuition, P20,000 for books, and P80,000 for monthly stipends. The scholars also received a copy of Retired Chief Justice Artemio V. Panganiban’s books — Summa and With Due Respect 1. The FLP scholars were selected based on academic merit and their ability to propagate and espouse the FLP’s philosophy of liberty and prosperity under the rule of law. Retired Chief Justice Artemio V. Panganiban closed the program with a message titled “Hail to the New FLP Scholars and Winners.” His speech is also accessible via his personal website. The Legal Scholarship Program is sponsored by FLP with a financial grant from the Tan Yan Kee Foundation (TYKF) and co-sponsored by the Philippine Association of Law Schools (PALS). Acting Chief Justice Carpio headed the Board of Judges which selected the scholars. The members were: former Education Secretary Edilberto C. de Jesus, TYKF Executive Elizabeth Alba, PALS President and Ateneo Law Dean Sedfrey M. Candelaria, and Atty. Joel J. Gregorio, members. The board of judges handed the scholars their awards. Retired Chief Justice Panganiban, Acting Chief Justice Carpio, and TYKF Executive Alba handed the scholars their awards. The FLP Legal Scholarship Program is merit-based and aims to look for the best and the brightest law students in the country — open to all third and fourth year students of law schools that have obtained a percentage of passing above the overall average percentage of passing in bar exams based on the statistical data from the Office of the Bar Confidant of the Supreme Court. To qualify, the grantees must be (1) incumbent 3rd or 4th year students in one of the eligible law schools, (2) among the top 20 of the batch in their respective schools, (3) have a cumulative average not lower than 85% or 2.25 for the immediately preceding school year, (4) no dropped subject and no grade lower than 75% or 3.0, and (5) have enrolled and completed the full load for each school year. They must also submit an essay on the FLP’s philosophy of liberty and prosperity under the rule of law and how he/she will apply the philosophy in his/her legal career. The FLP was founded in 2011 to perpetuate the core judicial philosophy of retired Chief Justice Artemio V. Panganiban — that jurists and lawyers should safeguard liberty and nurture prosperity under the rule of law. Its Board of Trustees is composed of retired CJ Panganiban (chairman), former Secretary de Jesus, retired Supreme Court Justice Angelina Sandoval-Gutierrez, Evelyn T. Dumdum, Joel Emerson J. Gregorio, Prof. Elenita C. Panganiban, Maria Elena P.S. Yaptangco, Tanya Karina A. Lat, and Rebecca G. Felix. The Tan Yan Kee Foundation is the corporate social responsibility arm of the Lucio Tan Group of Companies. It approaches corporate social responsibility from a holistic commitment framework targeting education; culture and sports; health and social welfare including environmental concerns; research; and manpower development. For details, please visit www.tanyankee.org. Supreme Court Senior Justice Presbitero J. Velasco awarded the winners and finalists of the 2017-2018 Dissertation Writing Contest of the Foundation for Liberty and Prosperity (FLP) and the Ayala Corporation. Raphael Lorenzo A. Pangalangan, a graduate student of the Oxford University and a graduate of the University of the Philippines (UP), was awarded first prize. The son of International Criminal Court Judge Raul C. Pangalangan and UP Law Professor Elizabeth A. Pangalangan, he won P300,000 cash and a plaque of recognition for his entry: “Enforcing Liberty and Prosperity through the Courts of Law: A Shift in Legal Thought from Juridification to Judicialization”. For her entry: “Liberty and Prosperity in the Digital Age: Determining the Proper Treatment of Online Intermediaries in Light of the United Nations Guiding Principles on Business and Human Rights”, Tess Marie P. Tan was awarded second place. 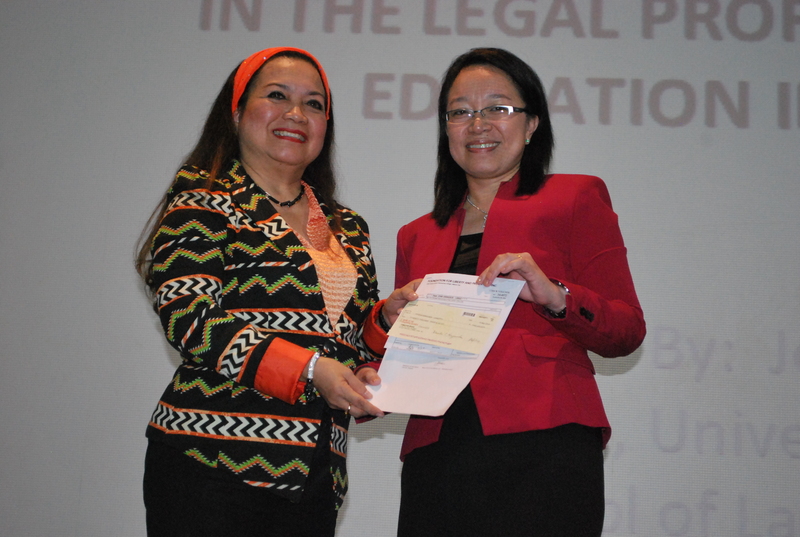 She received P200,000 cash plus a plaque of recognition. She is on her final year of law studies at the University of San Carlos in Cebu City. The two bested four other finalists: Rexlyn Anne M. Evora (Polytechnic University of the Philippines), Helen May M. Frias (Far Eastern University), Janine Faye A. Napoles (Centro Escolar University), and Joben Mariz T. Odulio (Ateneo de Manila University), who each received P20,000 and a certificate of recognition. On behalf the winners and finalists, Raphael Lorenzo A. Pangalangan delivered his acceptance speech titled “Liberty and Prosperity: In Doctrine, In Practice” (download a PDF copy of his full speech here). The FLP Awards Ceremony was held on March 23, 2018 at the Ateneo Professional Schools Auditorium in Rockwell Center, Makati City. Retired Chief Justice Artemio V. Panganiban closed the program with a message titled “Hail to the New FLP Scholars and Winners“. His speech is also accessible via his personal website. The Dissertation Contest is sponsored by FLP with a financial grant from the Ayala Corporation, and co-sponsored by the Philippine Association of Law Schools (PALS). The winners were selected by the FLP Board of Judges composed of: Supreme Court Senior Justice Presbitero J. Velasco, Jr., chairman; former Education Secretary Edilberto C. de Jesus, Ayala Corporation General Counsel Solomon M. Hermosura, PALS President and Ateneo Law School Dean Sedfrey M. Candelaria, and Law Professor Tanya Lat, members. The FLP Dissertation Contest aims to augment existing literature on the Foundation’s core philosophy of liberty and prosperity under the rule of law. The contest is open to third-year and fourth-year law students and those taking Master of Laws. Ayala is the country’s long-standing partner in the pursuit for progress and nation building, developing businesses that transform industries, challenging the status quo, and bringing innovations in the Philippines and abroad that contribute to the nation’s social and economic agenda. For details, please visit www.ayala.com.ph. Five years after the successful Global Forum on Liberty and Prosperity (18-20 October 2006)—which advanced the philosophy and justification of “Safeguarding the Liberty and Nurturing the Prosperity for the Peoples of the World”—the Foundation for Liberty and Prosperity (FLP) was formally organized. Thus, it is now committed to perpetuate the principle that jurists and lawyers should not only safeguard the liberty of people but must also nurture their prosperity under the rule of law. The Foundation was formally and publicly launched on the 75th Birthday Celebrations of retired Chief Justice Artemio V. Panganiban, during which an original musical concert titled “Ageless Passion” was staged at the Meralco Theater in Pasig City on December 20, 2011. Joining Chief Justice Panganiban in FLP’s founding Board of Trustees are retired Chief Justice Hilario G. Davide Jr., Elenita C. Panganiban (Former Associate Dean and Professor, Asian Institute of Management), Washington Z. Sycip (Founder, Sycip, Gorres, Velayo & Co.), Edilberto C. De Jesus (Former Secretary of Education), Jennifer J. Manalili (Assistant Ombudsman), Maria Elena P. Yaptangco (CEO, Baron Travel Corporation), Maria Theresa P. Mañalac (Professor, Asian Institute of Management), and Joel Emerson J. Gregorio (Consultant, Asian Development Bank). Currently, FLP’s Board of Trustees is composed of retired CJ Panganiban (chairman), former Secretary de Jesus, retired Supreme Court Justice Angelina Sandoval-Gutierrez, Evelyn T. Dumdum, Joel Emerson J. Gregorio, Prof. Elenita C. Panganiban, Maria Elena P.S. Yaptangco, Tanya Karina A. Lat, and Rebecca G. Felix. FLP’s incumbent officers include Artemio V. Panganiban (Chairman, Executive Committee), Evelyn Toledo-Dumdum (President), Rebecca G. Felix (Treasurer), Joel Emerson J. Gregorio (Corporate Secretary), and Susana N. Gavino (Executive Director). Good News, Bad News: God Always Knows. This familiar adage sums up the message of the bio-musical Ageless Passion (presented by the Foundation for Liberty & Prosperity), a musical tribute to retired Chief Justice Artemio V. Panganiban His is a life story replete with successes and defeats, from his humble beginnings as a young newsboy in the streets of post-war Manila to his prevailing eleven-year stint in the Supreme Court of the Philippines. After being acclaimed as the “Renaissance Jurist of the 21st Century” by the Supreme Court in a unanimous Resolution dated December 6, 2006, Chief Justice Panganiban is now much respected and sought after as a director or adviser by many publicly listed companies, top corporations and philanthropic foundations in the country. Thus, Ageless Passion is premised upon his indefatigable acuity and spirit – not to mention his charisma. The Foundation’s VISION is a society that fully appreciates the necessity of “Liberty & Prosperity” and their essential interdependence and mutual inclusiveness. The Foundation’s MISSION is to educate the people, especially the members of the judicial and legal profession, on this fundamental and essential inter-relation between liberty and prosperity by supporting projects aimed at promoting, developing, assisting and protecting liberty and prosperity under the rule of law. Accordingly, to achieve its goals, the foundation shall organize, undertake, and/or support the following projects and activities: (1) legal assistance, legal research, and legal aid; (2) seminars, workshops, trainings, classes, debates, moot courts, oratorical jousts, and other forms of instruction; (3) professorial chairs, educational scholarships and fellowships; (4) curricula on liberty and prosperity under the rule of law; and (5) a Center for Liberty and Prosperity.